Built in 1966, the current building was extensively refurbished in more recent years – leaning not only on the expertise of individual members and trades but also benefiting from their generosity. Whilst the fabric of the hall is modernised, many of its fixtures and fittings stem from previous eras. Some of the furnishings and artefacts can be traced back to the original Trinity Hall, which stood on a site near to where Guild Street now runs. The buildings, which were once the Palace of King Willian the Lyon, lay derelict when they were purchased in 1631 by Dr William Guild and gifted to the Seven Incorporated Trades. Brought back to life by the hard work and skill of members, the centre opened as a meeting place and hospital in 1633 and was renamed Trinity Hall. 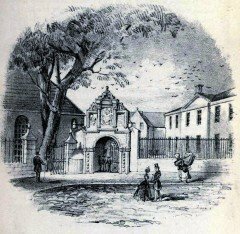 In 1847 the second Trinity Hall was unveiled, drawing praise for its impressive architecture and fastidious craftsmanship. 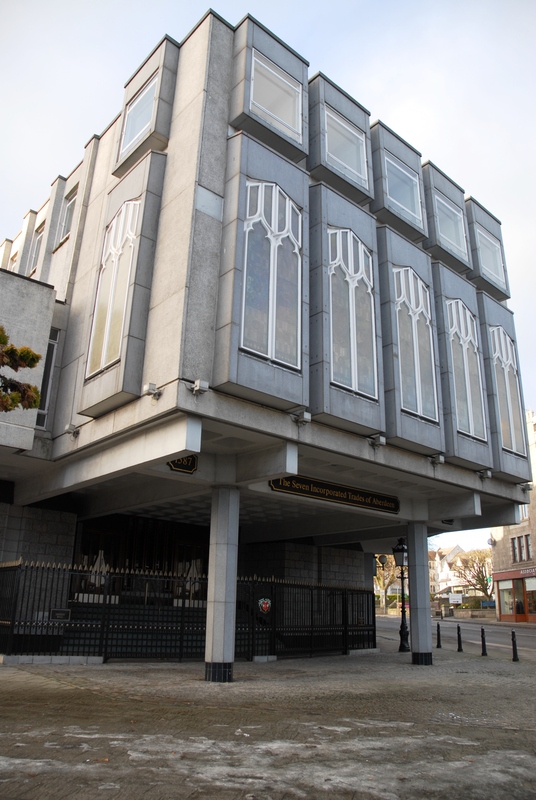 The building can still be seen on Union Street, forming the entrance to the Trinity Centre – with the shopping mall’s name providing a lasting reminder of the site’s heritage. The Union Street building was constructed as part of wide ranging redevelopment of the Denburn area to accommodate the advent of the railway network. The Granite Mile was very much in its infancy and the addition of the Seven Incorporated Trades cemented its importance in city life. The rise and rise of Union Street as a shopping destination was one of the factors in the decision in the 1960s to seek a new home for the organisation, with the development of the Littlewoods store on an adjacent plot of land providing an opportunity for relocation to a less congested area. 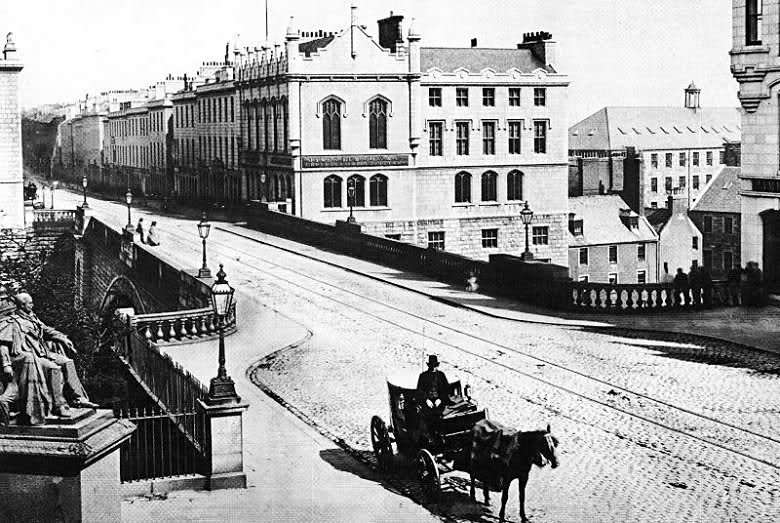 Land was secured off Holburn Street and Trinity Hall, as it now stands, was built with typical efficiency. A new chapter in the history of the Seven Incorporated Trades had opened.